PROS Holdings (NYS: PRO) reported earnings on Feb. 9. Here are the numbers you need to know. 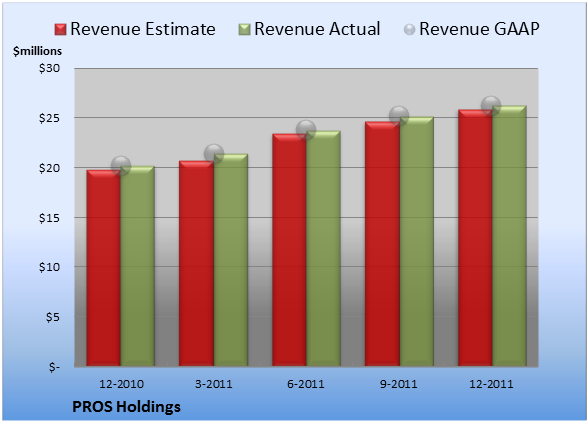 For the quarter ended Dec. 31 (Q4), PROS Holdings beat slightly on revenues and beat expectations on earnings per share. PROS Holdings logged revenue of $26.2 million. The seven analysts polled by S&P Capital IQ expected to see sales of $25.9 million. GAAP sales were 30% higher than the prior-year quarter's $20.2 million. Non-GAAP EPS came in at $0.11. The six earnings estimates compiled by S&P Capital IQ predicted $0.09 per share on the same basis. 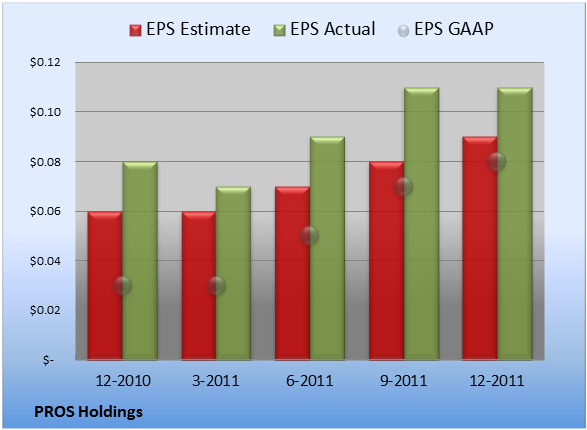 GAAP EPS of $0.08 for Q4 were 167% higher than the prior-year quarter's $0.03 per share. For the quarter, gross margin was 72.4%, 1,450 basis points worse than the prior-year quarter. Operating margin was 10.3%, 1,200 basis points worse than the prior-year quarter. Net margin was 8.1%, 500 basis points better than the prior-year quarter.  Next quarter's average estimate for revenue is $26.8 million. On the bottom line, the average EPS estimate is $0.09. Next year's average estimate for revenue is $115.0 million. The average EPS estimate is $0.43. The stock has a two-star rating (out of five) at Motley Fool CAPS, with 140 members out of 162 rating the stock outperform, and 22 members rating it underperform. Among 64 CAPS All-Star picks (recommendations by the highest-ranked CAPS members), 60 give PROS Holdings a green thumbs-up, and four give it a red thumbs-down. Of Wall Street recommendations tracked by S&P Capital IQ, the average opinion on PROS Holdings is buy, with an average price target of $19.67.